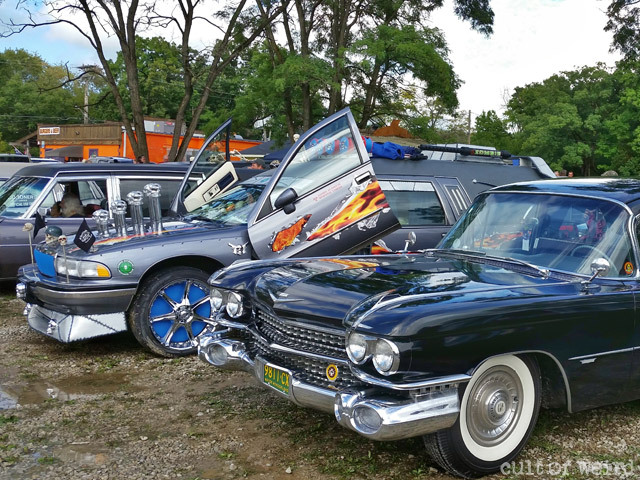 The denizens of Hell gathered for the 15th annual Hearse Fest and we were there for all the ghoulish fun. 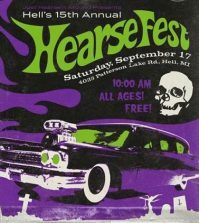 The annual gathering of hearse owners and enthusiasts known as Hearse Fest was held Saturday in Hell, Michigan. 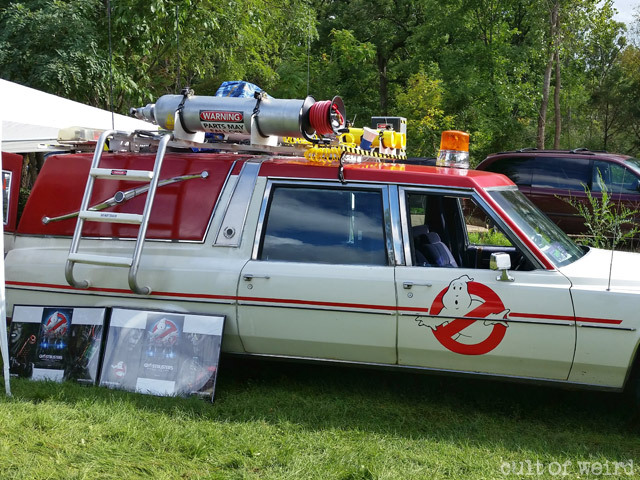 Hell’s own Just Hearse’N Around hearse car club, of which Butch Patrick (Eddie Munster) and Elvira are members, have been organizing this unique event for 15 years, and it was about time we checked it out. 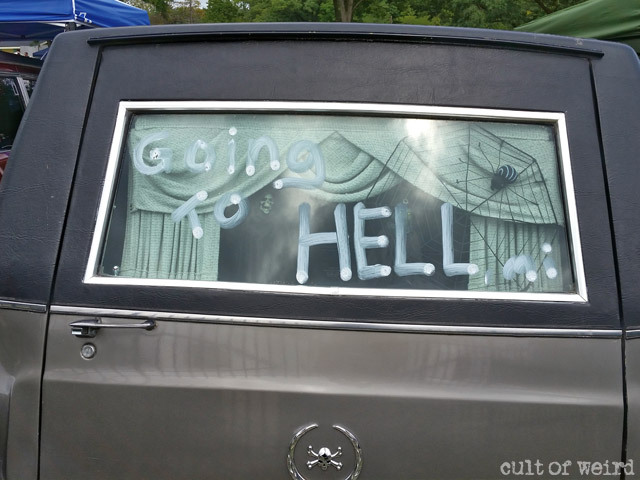 I mean, how often do you have the opportunity to utilize so many Hell puns in one day? Cult of Weird resident mad taxidermist Rob Reysen and I departed for Hell with boxes full of Grave Digger Candles at about 2am. The burning question on my mind at that point was: Which circle of Hell is the coffee on? The road to Hell from Wisconsin was a 6-hour drive through pouring rain and dark, desolate countryside. It was still raining in Hell when we arrived – just long enough, apparently, to make setting up our chapel of beeswax abominations as complicated as possible. 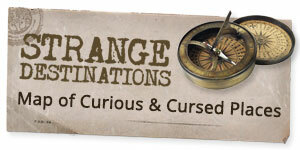 Soon after, however, the sun came out, the humidity rose, and Hell lived up to its infernal reputation. Still, the quaint little town, which seems to be no more than a few houses, two bars, and Screams (the souvenir shop) was surprisingly pleasant. 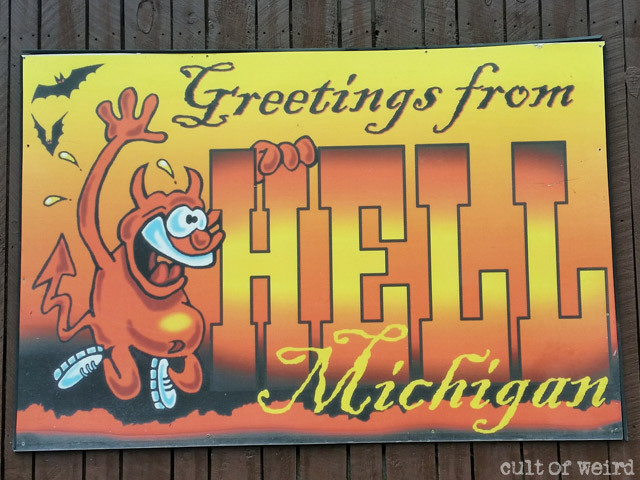 Where else can you experience Hell on Earth while enjoying mini golf and the best ice scream this side of the Styx? 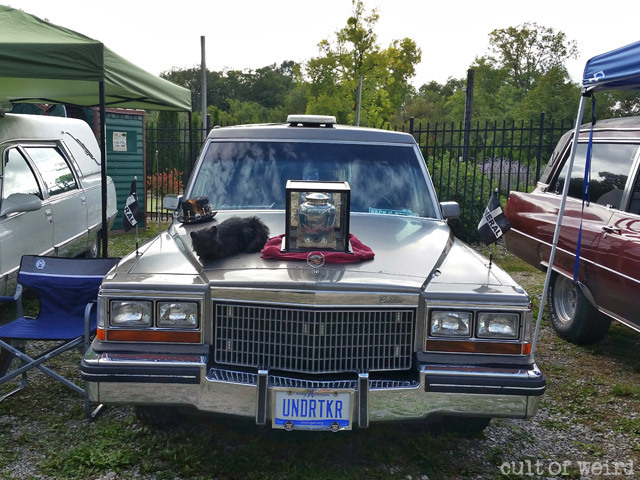 A wide variety of hearses of all makes and models came out for the festivities, with an equally diverse range of vendors selling original art, preserved dead things, bones, jewelry, and more. I didn’t get a chance to stop by every booth like I wanted to, which was probably a good thing because I would have wanted at least one of everything. 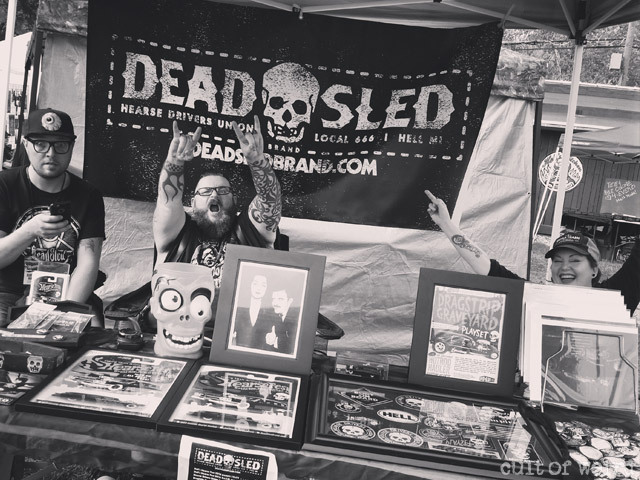 But I did manage to finally meet the ghouls behind my favorite purveyor of monochromatic grime Dead Sled Brand. 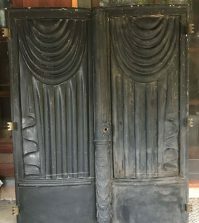 Yes, they really are B&W in real life. 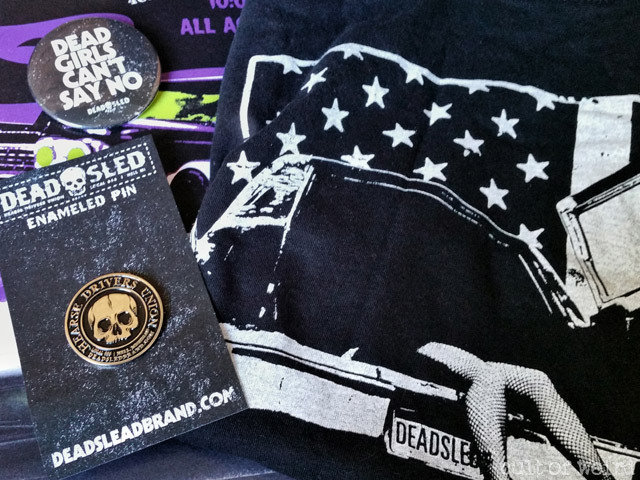 Brought some Dead Sled gear back from Hell! 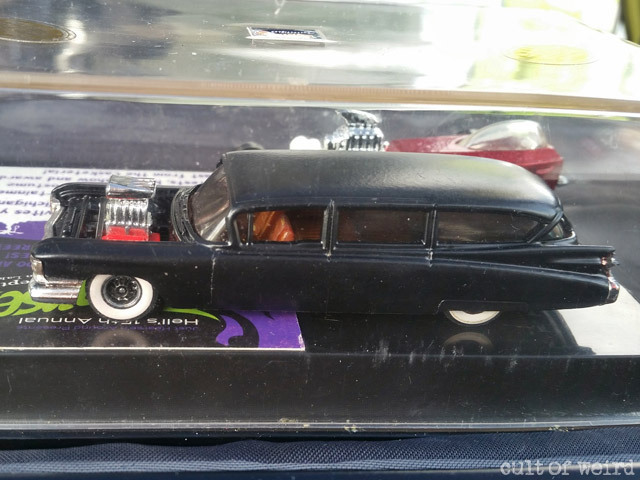 Custom diecast hearse made by Ronnie Duke. 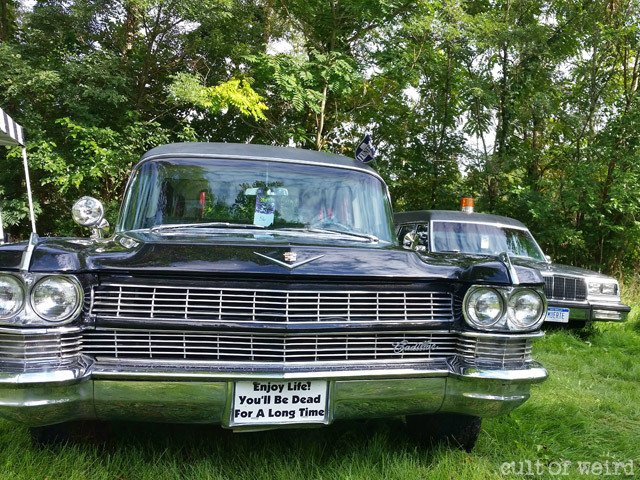 The diecast hearse used by Robert Paul Nixon in the design for this year’s flyer was made by Just Hearse’N Around member Ronnie Duke. 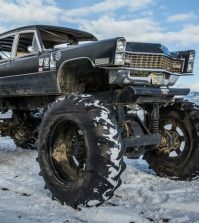 It was auctioned off at the end of the day. 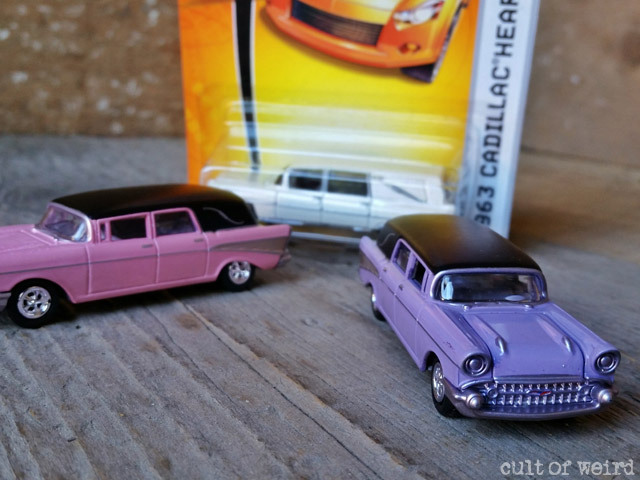 Huge thanks to Ronnie Duke for the new additions to my humble beginner hearse collection! Trick or Treat came early this year in Hell. 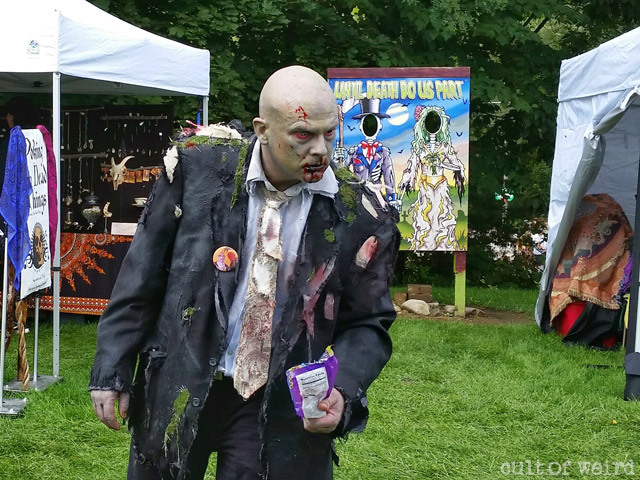 Zombies, monsters and devils crawled out of their spider holes to haunt Hearse Fest for the Halloween costume contest. We spent the day beside a nun who was happily flogging anyone who would stand still and bend over long enough. Take the candy or Dedd Fredd feasts on your brain. You decide. 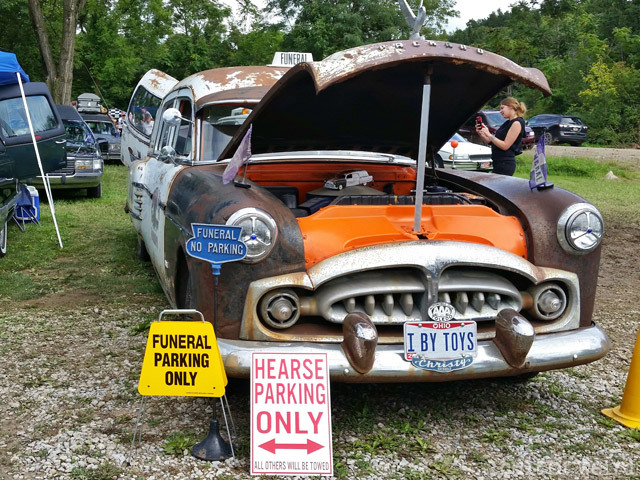 Oh yeah, Hearse Fest has hearses, too. I tried to share more photos throughout the day on the Instagram feed, but it turns out phone service isn’t so great in Hell. Some comments questioned if it could really be Hell if there was coffee, and the answer is yes! I did find coffee in Hell. Unfortunately, Deadly Grounds didn’t make it because their hearse broke down en route, but I managed to find some at Screams instead. 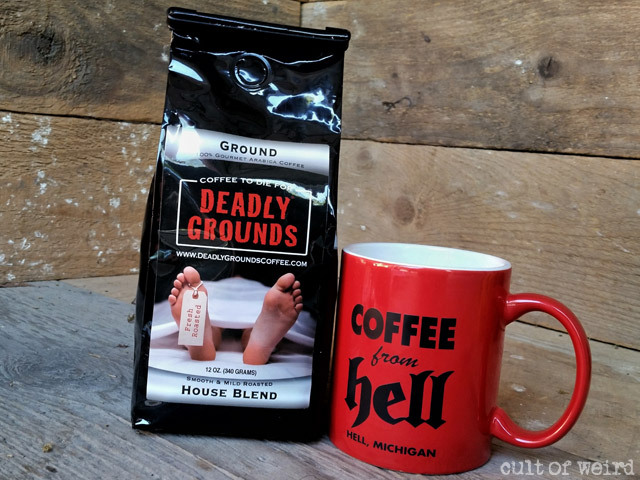 I found Deadly Grounds coffee in Hell. 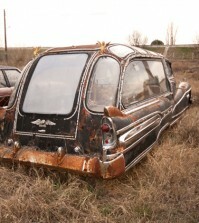 It was great to meet everyone and see the meat wagons. Can’t wait to do it again!